Scientists from the Finnish Technical Research Center (VTT), the Lappeenranta University of Technology and the University of Turku, believe that renewable energy sources will become the cheapest energy for consumers in Asia in a span of 10 years, reports Finnish national broadcaster Yle. A joint project led by these scientists has successfully modeled comprehensive energy systems based entirely on renewable energy sources for China, South Korea and Japan, said Yle. The project even recently won an award in Japan for its pioneering simulation work. China, a leading energy consumer in the world, has become the world’s largest investor in solar and wind energy, said VTT’s Pasi Vainikka. “China possesses significant wind and solar energy resources, so a power network based on renewable energy sources has the potential to become profitable very quickly,” Vainikka was quoted as saying. The researchers who participated in the project predicted that the price of solar electricity will drop by half within 10 or 15 years, so that the relative industries will become more profitable. For the record, Solar manufacturers in the U.S. and Europe have been decimated by China’s cheap solar manufacturing prowess in the recent years, said Forbes. According to an independent body controlled by the U.S. Department of Commerce, solar manufacturers from China and Taiwan were selling imports for less than what they cost to make, harking in a phenomenon commonly known as ‘dumping.’ This in turn has impacted solar manufacturing on the home soil, Forbes reported. “Chinese solar manufacturing companies have almost succeeded in wiping out the entire solar manufacturing industry in the United States,” said Tim Brightbill, a partner at Wiley Rein, a Washington DC-based law firm. India too is closing on the solar manufacturing gap that’s been essentially China’s playing field till date. US-based SunEdison Inc. recently disclosed that it will set up a joint venture with Adani Enterprises Ltd – the flagship company of the $9.4 billion Adani Group – to build a solar photovoltaic manufacturing facility in Gujarat with an investment of around $4 billion. The new facility will be constructed in Mundra, Gujarat, over three-four years and will vertically integrate all aspects of solar panel production on site. The facility will create enough solar panels to fuel substantial growth in India, furthering India’s goals for clean, renewable energy independence, the companies said in a joint statement. “India has embarked on an ambitious programme to become a world leader in power generation from renewable technologies, and sees solar as a key part in realizing that goal,” said Vneet S. Jaain, chief executive officer of Adani Power Ltd, a unit of Adani Enterprises. The proposed joint venture announcement also comes at a time when the present government has substantially revised an earlier solar energy target of achieving 20,000 megawatts (MW) capacity by 2022 to 100,000MW. 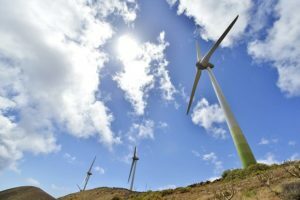 In addition, the government has ambitious plans to create 60,000MW of wind power capacity by then, with an overall investment of around $160 billion in the renewable energy sector. In a similar development, the southern Indian State of Karnataka has signed a MOU with SunEdison for developing 5 GW of renewable energy over the next five years. The electricity generated by these projects will be cost competitive with coal-produced electricity, without subsidies or incentives, and will ease the electricity deficit that Karnataka currently experiences. The agreement includes details of an immediate plan to implement between 1,000 megawatts and 1,500 megawatts before December 31, 2016.